Here, we'll look at some of the health concerns which have arisen regarding plastic storage bags, before taking a closer look at why FoodSaver bags are a great alternative to standard shop-bought food containers. Plastic storage bags are a great way to keep the kitchen organised and waste less food by preserving leftovers, but many people don't like using them through fear of a number of health concerns — not least the supposed toxicity of certain plastic materials. Know the facts regarding plastic bags. For years, holistic health professionals have warned against using plastic bags, boxes and wraps as food storage, attributing the toxic chemicals contained within some plastics to certain health conditions. With little evidence to suggest plastic materials could cause ill health, these warnings were quickly dismissed as paranoia. But in 2015, evidence emerged from several new reports linking the toxicity of plastic food containers to a range of health problems, including cancer, and issues with fertility and foetal development. According to this report, a total of 175 compounds found in some food storage plastics can be linked to these health complaints. The report suggests that chemicals can leach into food and drink when heated, and that cling film should never be allowed to touch food in the microwave. The chemical causing most concern among health professionals is Bisphenol A (BPA), which is still widely used in plastic manufacture but is limited to only a few food storage products, including some cling films, plastic bottles and freezer bags. BPA is a type of Endocrine disruptor, meaning that it interferes with the hormone system. In the body, BPA acts similarly to the female hormone oestrogen, and may cause fertility issues. While plastics which contain BPA aren't likely to cause problems when they're brand new, with repeated use the plastic will decay, making it more likely that the BPA chemical will come into direct contact with food and drink. Recognising the potential toxicity of BPA, many plastic manufacturers have now switched to polythene or PET (polyethylene terephthalate), which are considered safer and less toxic than BPA. Polythene and PET plastics comply with European and UK safety legislation, and have not yet been linked to any toxicity issues or health problems. Keep food fresh for longer periods of time. One of the other safety concerns surrounding plastic food storage bags is contamination and cleanliness, specifically when reusing bags to store fresh food in the fridge. 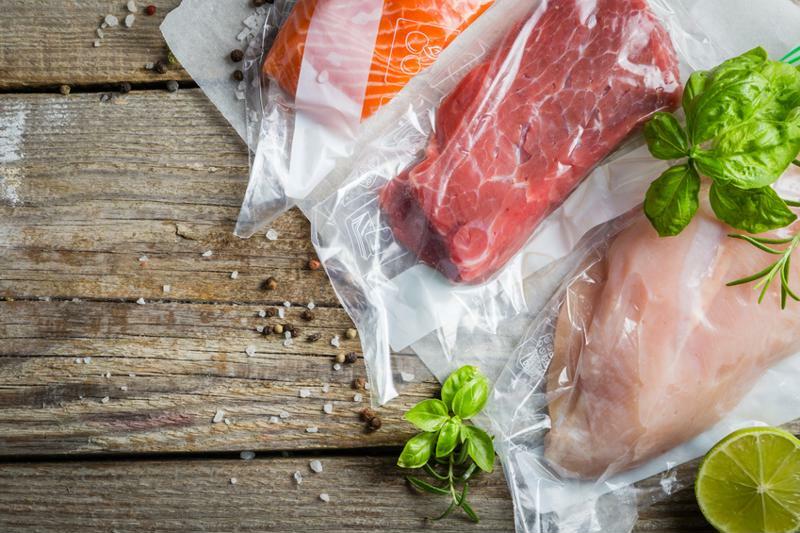 Many households use plastic bags and wraps to cover and store meat and fish in the fridge in a bid to keep it fresher for longer. This is perfectly OK, but problems arise when you go to reuse the bag again — even after a thorough wash. Harmful bacteria present in uncooked meat and fish can live on plastic food containers for months, and won't be removed during washing, even in the dishwasher. Bugs like E.coli and salmonella can be very harmful if consumed, causing a range of potentially severe symptoms. After using plastic food bags to store fresh meat and fish, it's important to dispose of them promptly and not allow any of the juices to contaminate other areas of the kitchen. Don't try to wash these out in the sink, as the bacteria will spread to other surfaces, increasing the risk of cross-contamination. 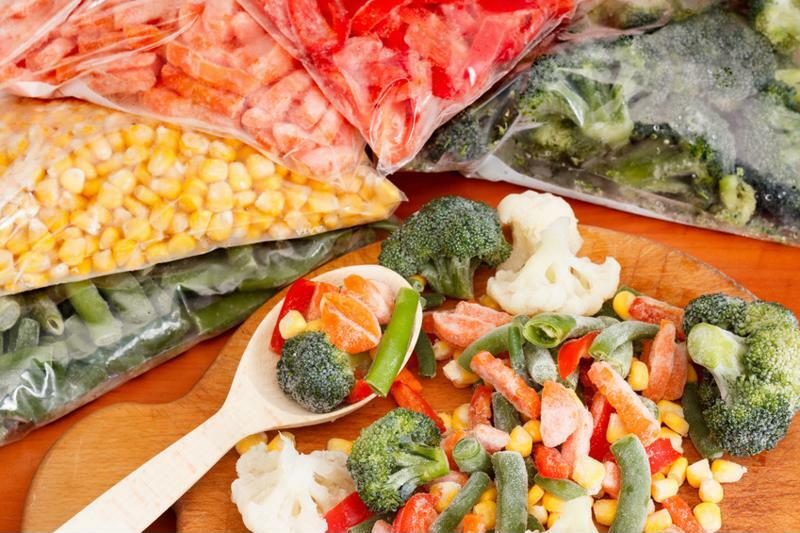 Food storage bags can be used safely to store fresh ingredients in the fridge, provided you follow these rules and avoid reusing the bags in the future. Keep food fresh and safe with the right type of bag. If you're looking for plastic food storage bags that are safe to use and capable of keeping your food fresher for longer, you can rely on FoodSaver. Our special food bags and rolls are manufactured using multiple layers of polyethylene, with an outer layer of nylon for added strength and rigidity. This BPA-free construction offers complete protection against the effects of chemical leaching, allowing you to reuse the bags multiple times and even cook food in them in the microwave. The bags also create a complete air, moisture and odour barrier, helping to seal in the flavour of your food in the fridge and freezer. Another great thing about FoodSaver storage bags is that they're fully washable, and can be placed in the dishwasher after use to be used again. However, as recommended above, it's important not to reuse the bags if they've previously been used to store raw foods such as fresh meat and fish. 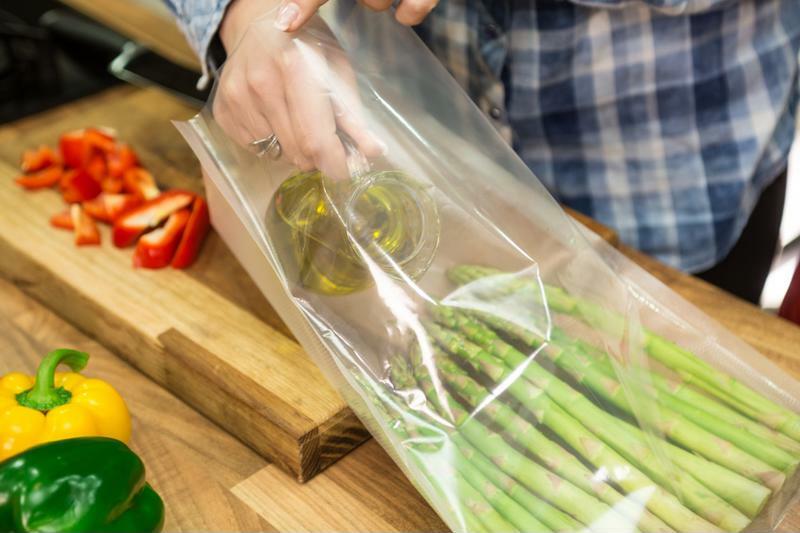 And, when paired with our innovative vacuum sealing system, our bags are capable of keeping your food fresh for up to five times longer than standard shop-bought storage bags, meaning less waste and better-tasting family meals. To browse the complete range of FoodSaver products, including our vacuum sealing systems and food storage bags, click here to visit the homepage or call us on 0800 525 089.